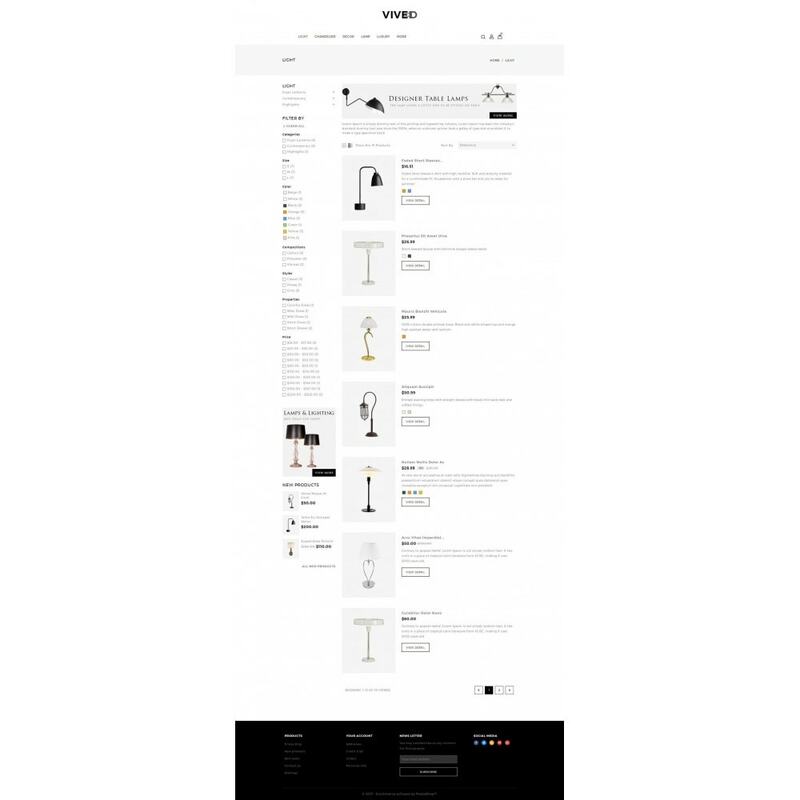 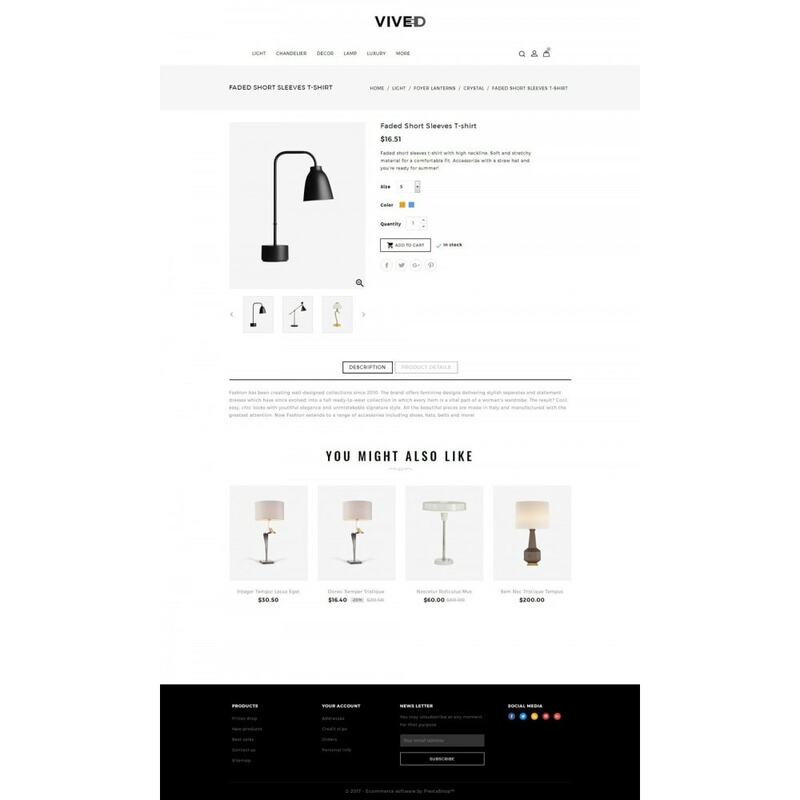 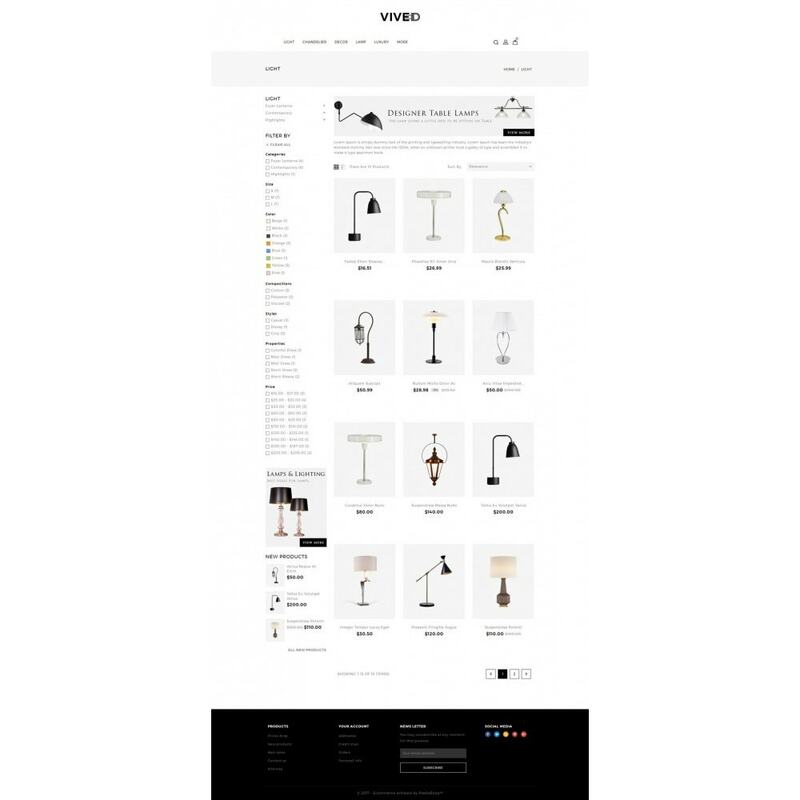 Vived Theme is specially designed for Lighting and home decor store. 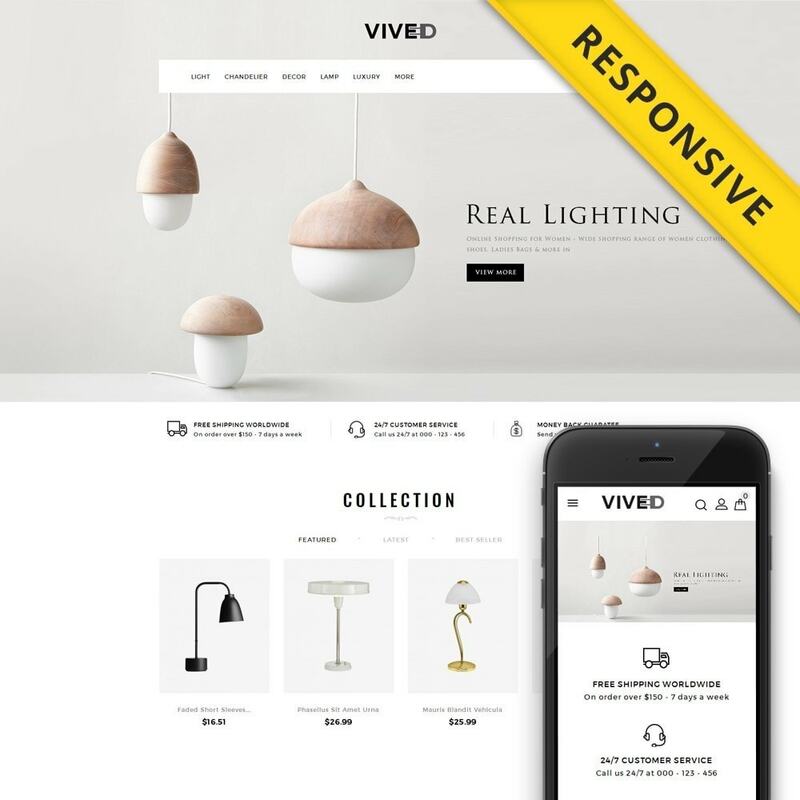 This Theme has a clean and professional look with fully responsive and includes a number of modern & unique features that makes it easy for you to build a stylish website. 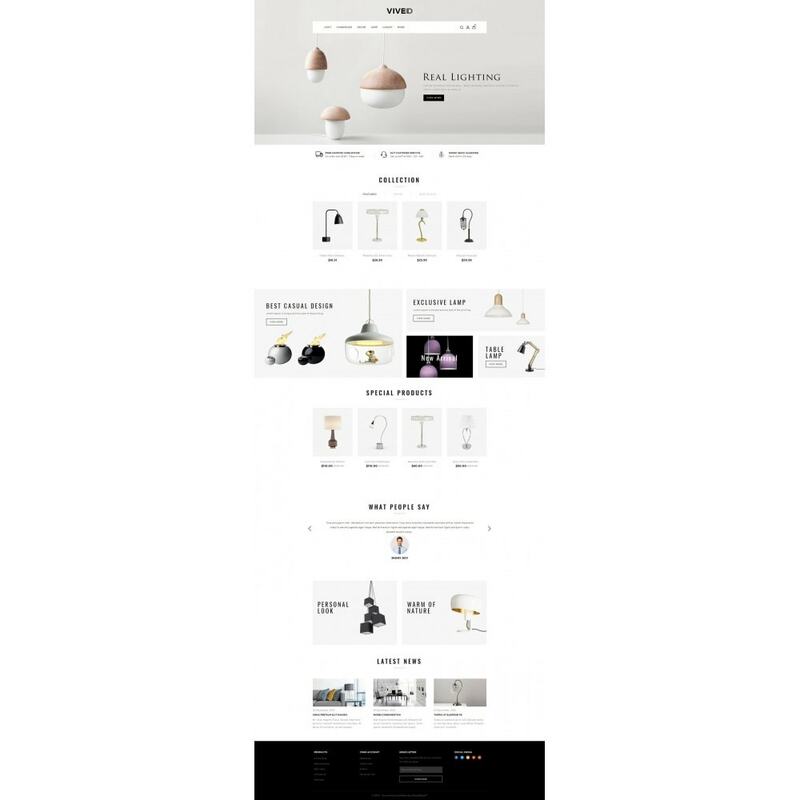 You can use this theme for Lighting, home decor, furniture, electronics and multi purpose stores.